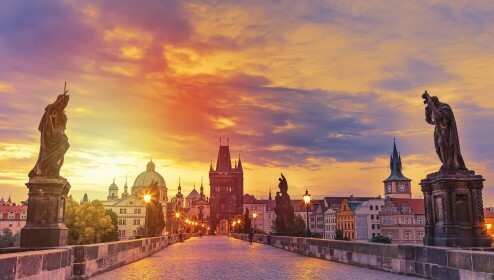 So you’ve spent some time in Prague: falling in love with beautiful architecture, delving into history or enjoying the cool spots in the city and drinking the famous Czech beer. 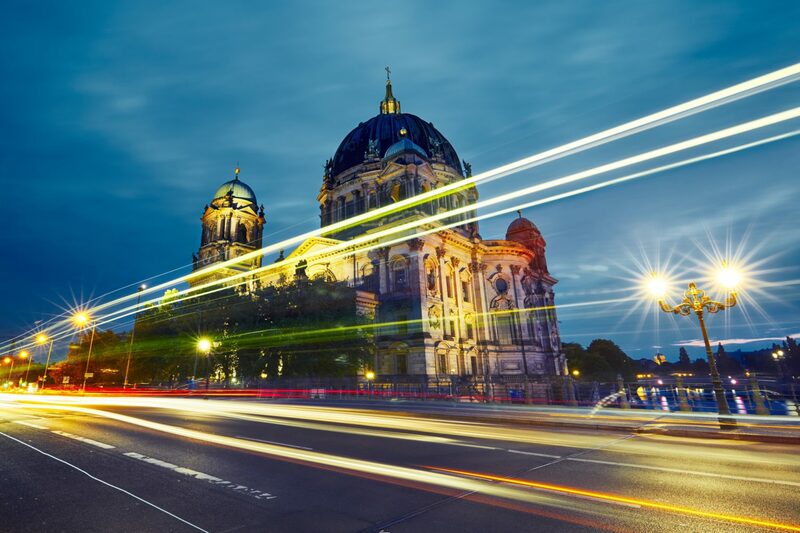 But it’s time to move on to your next destination – the hip capital of Germany awaits. 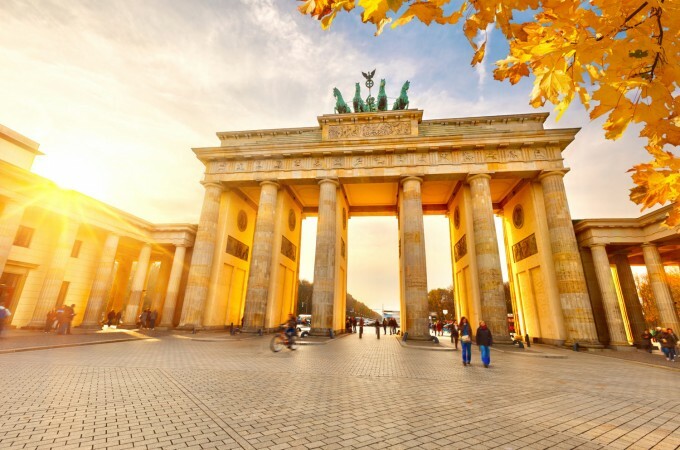 You don’t need to worry about how to get from Prague to Berlin – we’ve got you covered! Below you can see all the best ways to travel from Prague to Berlin, or from Berlin to Prague as this cheat sheet works in both directions! It’s a pretty short and straightforward trip from Prague to Berlin. Two capitals are barely 350 km away from each other and even if you need to cross the border the journey would take some 4-5 hours with the fastest connections. While usually this is the best way to travel between the cities, in this case, it is not. Prague and Berlin are so close that there are no direct flight connection between these two. It would just take too much time when compared to other modes of transport. If you insist on flying, just for the love of planes and airport vibe, you still might do it, just prepare yourself for a longer journey and change in one of the nearby airports (most likely Vienna, Frankfurt or Munich). 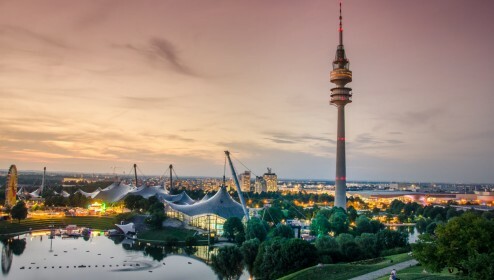 There are daily direct railway connections between the cities, every 2 hours from 6:30am till 4:30pm (afterwards you can still take the train but you will need to change in Leipzig, Germany). 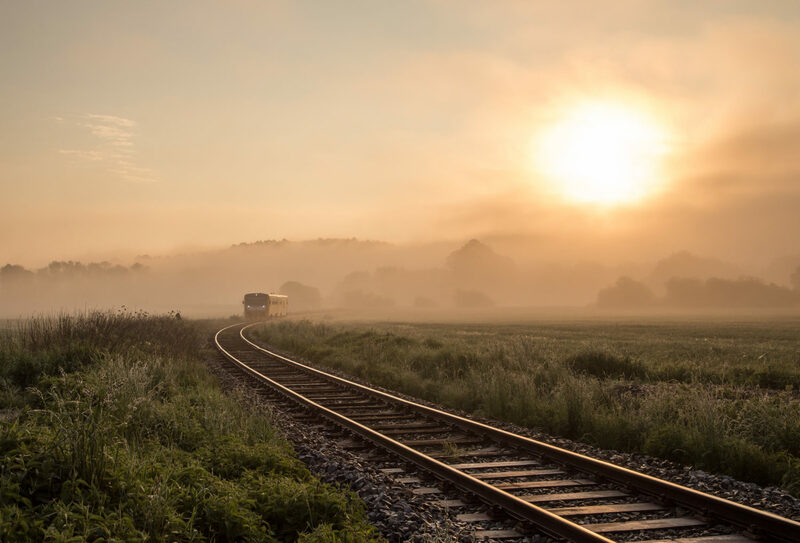 The Prague to Berlin train departs from Praha hlavni nadrazi – the central station or, few minutes later, from Praha Holesovice (in the most hipster part of the city) and a bit over 4 hours later it arrives to Berlin Hauptbahnhof, the main station in Berlin. On the way back from Berlin to Prague the train departs from Berlin Hauptbahnhof’s underground platforms. The trains are comfortable, with 6-people compartments and restaurant car, and they mostly run on time. Tickets start at €14/one way, the earlier you buy, the cheaper it gets. You can purchase the ticket online, at Czech Railways website or at German Railways website. It’s also possible to get the ticket the traditional way, at the train stations. Once you arrive there just look for the travel center (at Prague main station it’s located in the lower floor while at Berlin main station it’s in the upper floor). This is probably the best way to travel from Prague to Berlin. Trains are always fun, you can chat with your fellow passenger and make new friends or, if you feel antisocial, you can catch up on your favorite book or tv show. 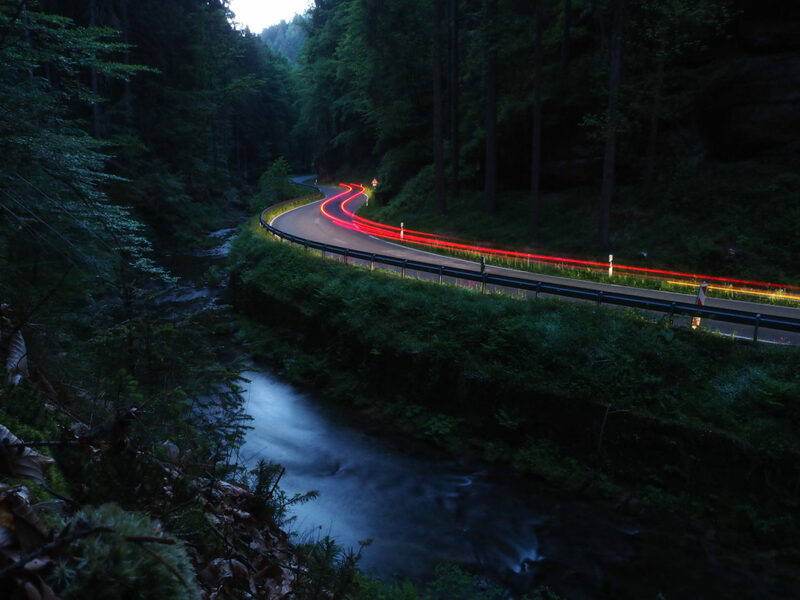 You can also spend most of the journey just looking outside of the window and admiring views as these surely will be stunning, especially when you pass the area of Bohemian Switzerland / Saxon Switzerland between Decin and Bad Schandau. Getting from Prague to Berlin by bus is a fast and cheap option. 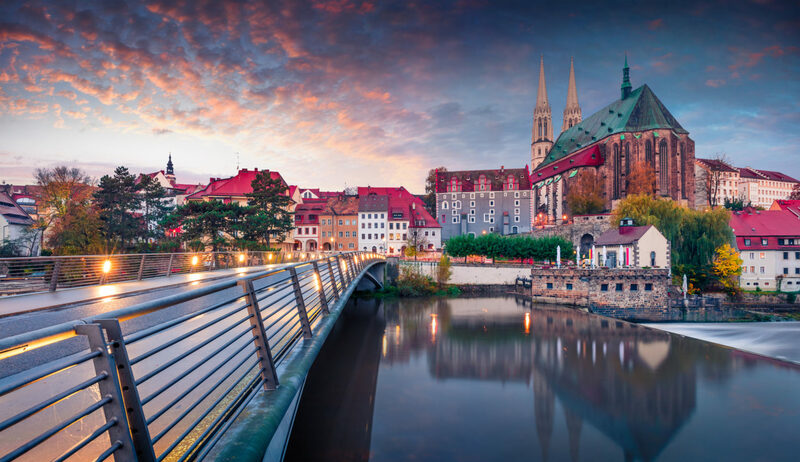 It’s an easy and comfortable journey that would take around 4 hours and 30 minutes from Prague Florenc station (in the center, near the main train station) to Berlin ZOB station (near Messe Nord/ICC S-Bahn station). 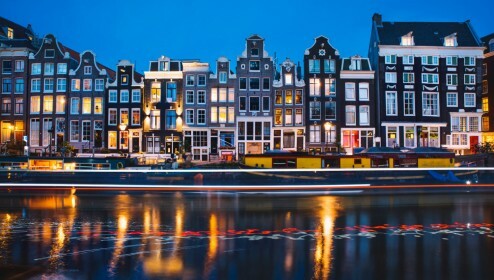 There are three major companies serving the route–Regio Jet, Flixbus and Eurolines, the tickets start at €14 and there are numerous connections during the whole day. The buses are actually much better than you might think. They are comfortable, with free wi-fi and some of them offer also onboard entertainment system (similar to the one you find in planes) and complimentary hot and cold drinks. Two movies watched and you’re already at your destination! Another easy way to travel from Prague to Berlin (or from Berlin to Prague) is on the small group sightseeing tour bus. 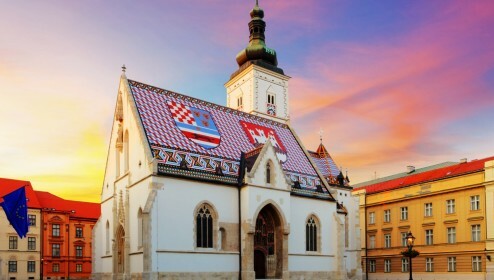 Not only you will be able to see some interesting places along the way, but you will also meet fellow travelers and learn about history, culture, and people of both the Czech Republic and Germany. 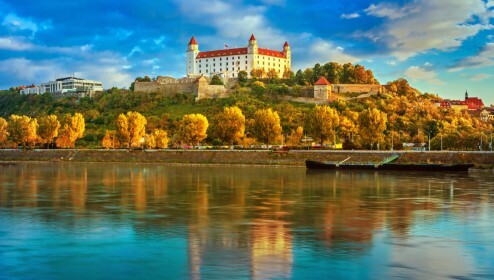 The first stop of the tour is in Litomerice – a picturesque town known for the delicious wine. Here you will be able to peek into the underground wine cellars. Afterward, you will head to Germany where you will be able to marvel at stunning Saxon Switzerland and its breathtaking views. 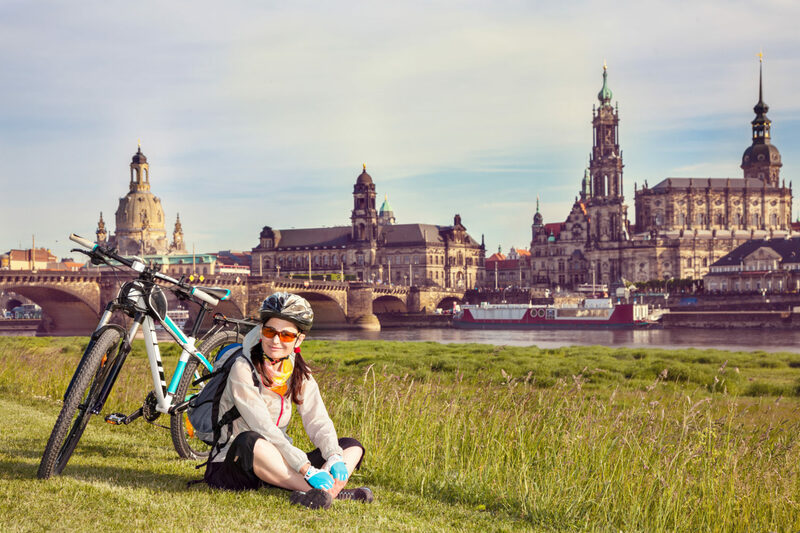 From there it is a short ride to Dresden, one of the most beautiful cities in Germany, rich in culture and history. After having lunch, you will be able to stroll around and see yourself the fantastic gems that Dresden is full of. Before arriving in Berlin, you will see Moritzburg Palace – one of the best examples of baroque architecture in Germany and Spreewald that is part of UNESCO biosphere. 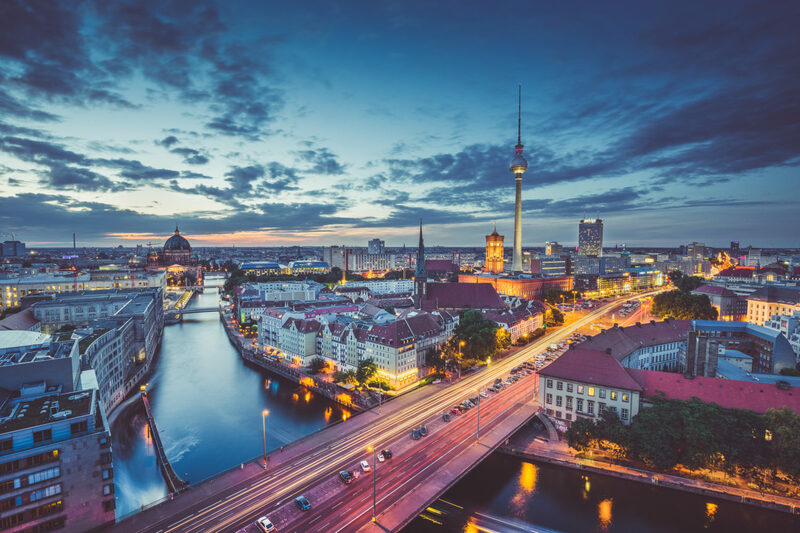 Ten hours after leaving Prague you are at your destination in Berlin, with a head full of unforgettable views and stories you’ve seen and heard through the day. You’d like to enjoy the ease of private transport but don’t want to rent and drive a car yourself? Then getting a taxi is your answer! It’s not very cheap but offers the flexibility you might need and it’s definitely convenient with door to door transfer. It’s especially comfortable if you travel with lots of luggage. You can even stop along the way to see some interesting places! Car sharing might be a nice and fun option when travelling from Prague to Berlin. You never know who you might travel with and spending these few hours together might lead to some interesting conversations. 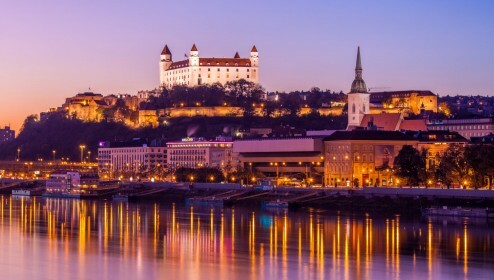 Car sharing is a popular way of travelling in Central Europe and usually there are numerous rides to choose from. The most popular website to look for rides is BlaBlaCar. You only need to arrange the meeting place with the driver and you’re good to go! Are you up for some adventure? 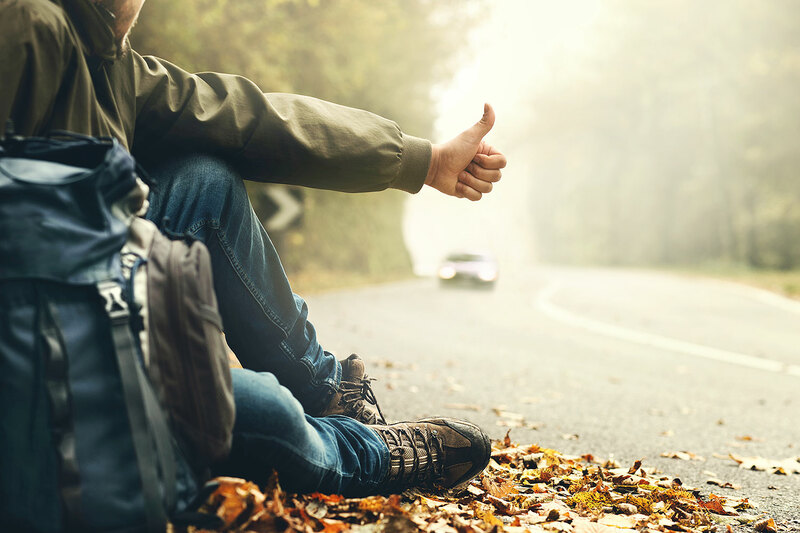 Why not hitchhike from Prague to Berlin!? If you’re not in hurry or short on money, or if you just want to have an unpredictable and possibly epic journey you can easily try it! In Prague you need to head to D8 road in the north of the city. The rumor has it the best spots are at OMV petrol stations. To get there you first need to take metro to Letňany (the last stop on the red – C – line) and from there take any bus or walk north and eventually you will get to your starting point. From here it should be easy to hitch a ride heading in the Berlin direction. Travelling with your own two wheels? Cycling from Prague to Berlin can be a treat! 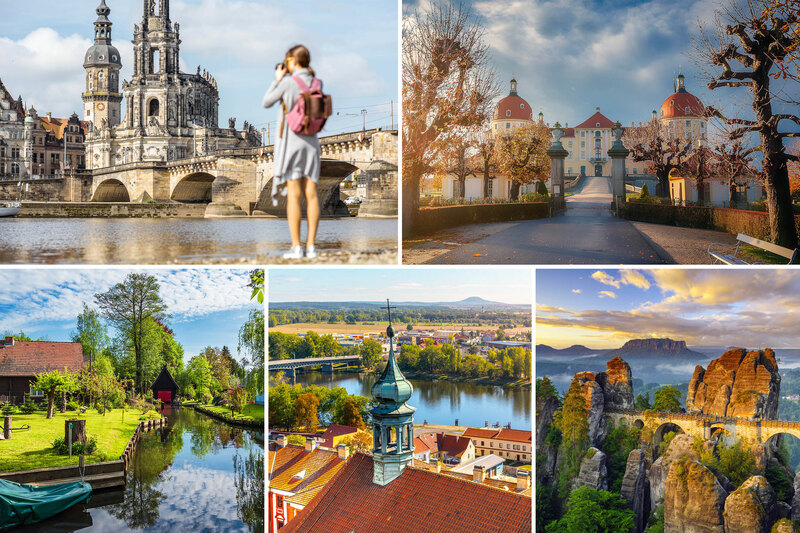 You will go through idyllic Czech countryside, breathtaking area of Bohemian / Saxon Switzerland with its incredible rock formations and the magnificent city of Dresden. Fortunately, both Czech Republic and Germany are bike-friendly countries so you can expect some good infrastructure along the way. Give yourself plenty of time for this scenic journey as it’s better to take it easy and stop along the way to enjoy the area to the fullest! If you feel like having a walking holidays the route from Prague to Berlin might be an interesting option. You can make it between the cities in some 10 days (it’s 320kms after all) but I guess you’re not in a hurry so take it easy and enjoy all the great places along the way. You might even want to stop in some parts of your route to explore the area. If you have lots of time and want to see more than just capitals go for a road trip! There’re numerous rental companies that let you rent the car in Czech Republic and return it in Germany. You might break the trip from Prague to Berlin in numerous places along the way. This will give you a great overview of how diverse the region is, both with culture and nature. Melnik and Litomerice are your typical Central European towns, too pretty to be real, with red rooftops, winding lanes and pastel houses. Bohemian / Saxon Switzerland National Parks are areas of incredible nature, great hiking trails and picturesque spots. Dresden is known as one of the most beautiful cities in Germany, with a rich but tragic history and numerous attractions that will keep you busy for a day or two. Before arriving to Berlin you may also stop in Spreewald – the area known as German Venice, where you can relax while going on kayak tours out in nature. If you feel like doing a little detour you can go via Liberec, Görlitz or even combine that with Poland. Liberec is one of the most underrated cities in the Czech Republic, known mostly for winter sports but offering so much more, including the beautiful architecture from the beginning of 20th century and one of the sculptures made by famous and controversial Czech artists – David Cerny (you surely have spotted his works around Prague). As for Görlitz: you most likely have seen the place in numerous movies, you just didn’t know it’s this low-profile German city. Have you watched “Grand Hotel Budapest”, “Inglourious Basterds” or “Around the World in 80 Days”? It was all filmed in Görlitz! So now you know all the best ways how to get from Prague to Berlin. No matter if you decided for a quick trip or a longer and more adventurous journey you will surely have a great time. Not only both capitals are amazing but area between them is pretty great too. Have a great trip!